PHP stands for hypertext processor which are designed as a server-side scripting language for developing the web application. 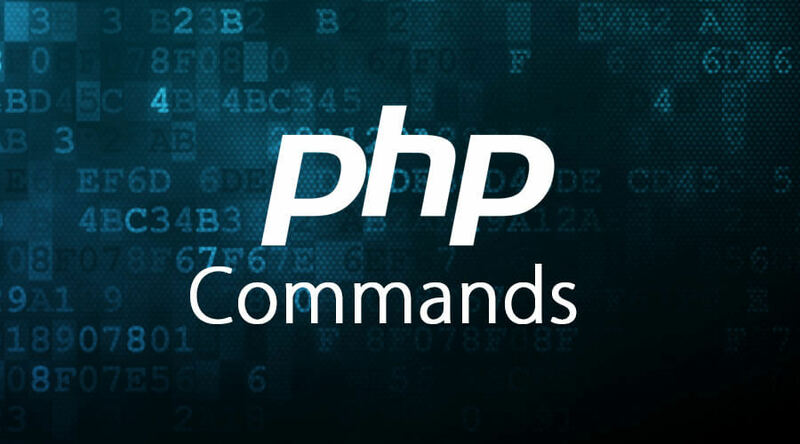 The PHP code is mainly combined or embedded with HTML syntax, but it can be used for any template system of the web application or available web framework. Types of Variable: Variable always played important role in any kind of programming language. PHP also uses the declaration of the variable for assigning the value. One of the key features of PHP variable is, it is not required to declare the type of the variable. As PHP is a weekly type language, declare variable considering type based on the assigned value. PHP normally accepted varieties type of any variable like string, integer, float, Boolean, object, resource, array or NULL. Name of the Variable: Variable name in PHP always start with $, followed by any text or specific letter and _. PHP variable name is case sensitive, so any capital letter variable with the same name should be considered as a new variable. Scope of the variable: Maximum variables are in the local scope. Variable declare inside the function are not available out of the function, on the same approach variable declare outside of the function are not available inside the function. It is possible to declare a global variable in PHP, in that case, need to declare that variable as global specifically, or accessing the same through the global array. Operator for assignments: PHP normally uses one common operator for assignment which is equal to (‘=’). Left of this equal sign is the variable name and right will be the assigned value. Operators for arithmetic operation: Below operators are used for performing an arithmetic operation in PHP. Operators are ‘+’, ‘-’,’*’, ‘/’, ‘%’, ‘++’, ‘–’. Operators for combination: It is basically a combination of arithmetic operator and assignment operator. Combined operators are ‘+=’, ‘-=’, ‘*=’, ‘/=’, ‘%=’. Operators for comparison: Comparison operators are ‘==’, ‘!=’, ‘>’, ‘>=’, ‘<’, ‘<=’. Operator for logical expression: Logical operators in PHP are ‘||’, ‘&&’, ‘and’, ‘or’, ‘xor’, ‘!’. While Loop: in PHP, while loop can be executed till the mention expression is considering as true. FOR Loop: For loop is using for executing the same code for mention number of times. Do While Loop: Similar to the while loop, the code will be executed until the get true value in while expression. The main difference with while is, the code mention inside the do at least execute one whether the expression is true or not, but while not ensure the same. FOREACH Loop: This loop is accepting an array as variable and considering of executing code till the last element of the array. In PHP, INCLUDE is mainly using for appending define code in an external file with the current working file. Maximum business logic can be defined within this PHP function. Array is mainly holding multiple related information in a single variable. Three kinds of arrays PHP normally supported. It is similar to the HTML form. A cookie is mainly using storing some of the user type value in their own system so that it can come automatically for the same website. For little critical complexity of business logic, sometimes developer using huge ‘IF-ELSE’ condition which creates a real problem of understanding the logic and final review. So one of the popular operators in PHP for avoiding the same is the Ternary operator. It is something like if conditions are true then doing something, else fetching some default value. Somehow requirement of using some common files in multiple pages, In that case rather than mention those common files in every page, a developer can make one common header and mention those common classes on that header page. PHP is now a very popular programming language which used by the maximum common web application. If an organization are not a big concern with the site security or code vulnerability then PHP will be always a good option. The population of a page in PHP is very fast rather than any programming language.